At Smartcomm Ltd we’re generally a happy crowd, which certainly shows in this photo, taken at our annual Summer Conference in June. While our quarterly newsletter helps share information regularly, there isn’t anything quite like the opportunity to meet face to face. At our Summer Conference, we get to hear the latest company news, celebrate our wins and welcome new staff. We also have the opportunity to ask questions and meet with the Directors in a less formal setting. This year our fun team activity got us working together outside of our everyday internal teams. From feedback, the new members of staff particularly appreciated this as it was a great way for them to interact with and get to know folk from different Smartcomm departments. Unfortunately our entire VNOC team were not in attendance, as we offer our customers 24/7 Service & Support for 365 days a year. This requires the team to work in shifts round the clock, but means we can provide the best possible level of support to our global customers. Others could not attend because our customers come first and the projects they were working on meant they needed to be on site and/or with customers. So while the entire Smartcomm team cannot necessarily attend, the majority plan their month around this event. 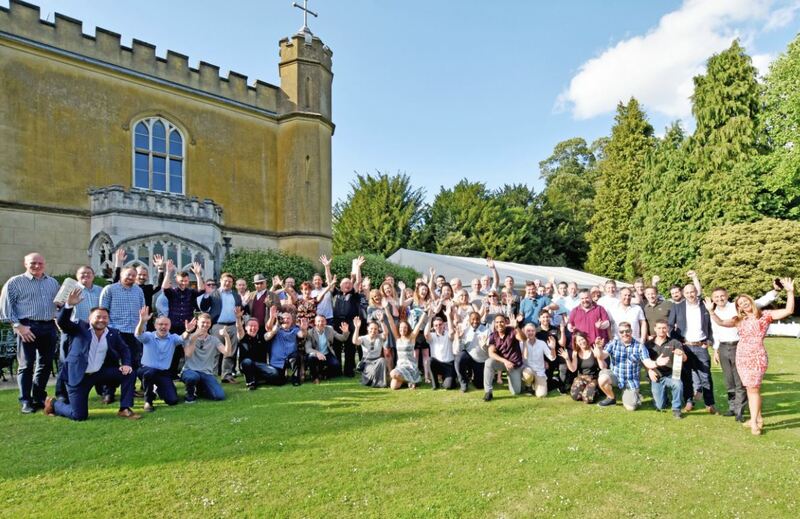 Our Summer Conference gives us the opportunity to catch up with colleagues – many of whom spend most of their time on site – round a free bar with good food in a beautiful setting. Why not go to our careers page to find out more about us and check out open opportunities to join the Smartcomm team?